Hey friends!! 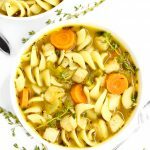 It’s been a minute, but I’m back with a vegan & gluten-free version of the ultimate comfort food: chicken noodle soup! I realize my last post was also a soup recipe, and I’m probably breaking some unwritten blogging rule. But am I going to let that get in between me and my love of soup? Absolutely not! I haven’t had chicken noodle soup in almost three and a half years now, since I stopped eating meat. But after catching a cold last week, all I found myself craving was a warm bowl of this classic soup. I created a vegan version to satisfy that craving using tofu in place of the chicken, and I couldn’t be happier with the result! It starts with making the tofu “chicken”. 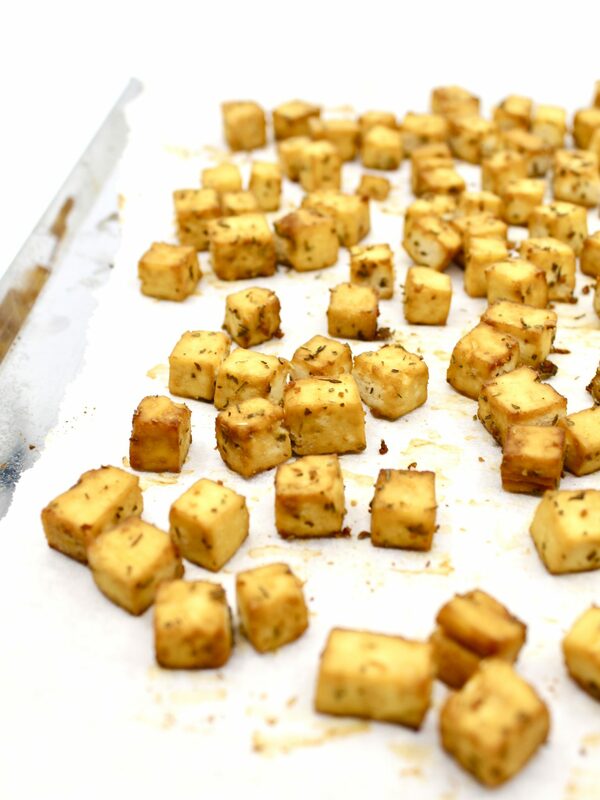 Small cubes of extra firm tofu get tossed with gluten-free tamari, thyme and oregano, and then popped in the oven to bake. The result is a more flavourful tofu with some extra chew thanks to the baking. When the tofu is halfway through baking, it’s time to get started on the soup! 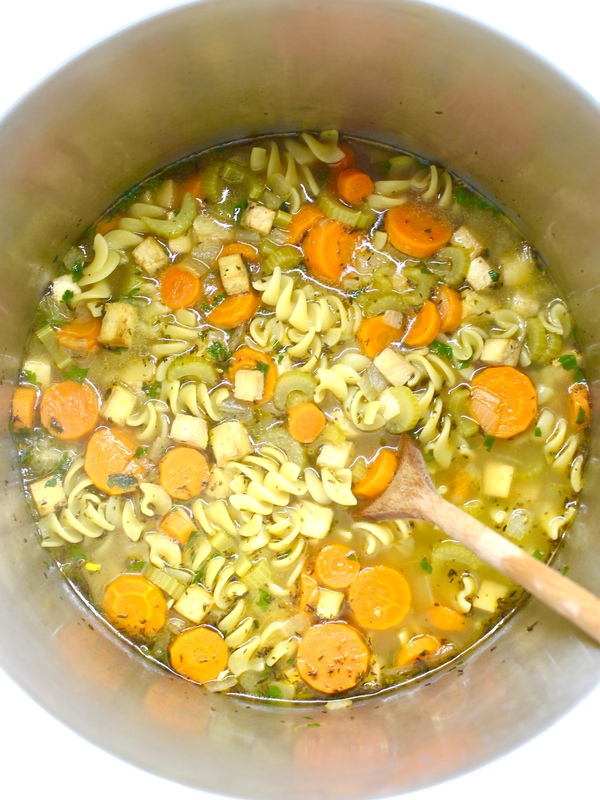 I’ve kept the ingredients simple to mimic a traditional chicken noodle soup. Carrots, celery, onion, noodles, and baked tofu add substance to the soup, while low sodium vegetable broth, thyme, parsley, oregano, garlic, tamari, nutritional yeast, salt and pepper bring the flavour. The result? A delicious soup that tastes just like the real deal. It’s hearty, savoury, and super comforting. Oh, and guess what? It tastes even better leftover the next day. 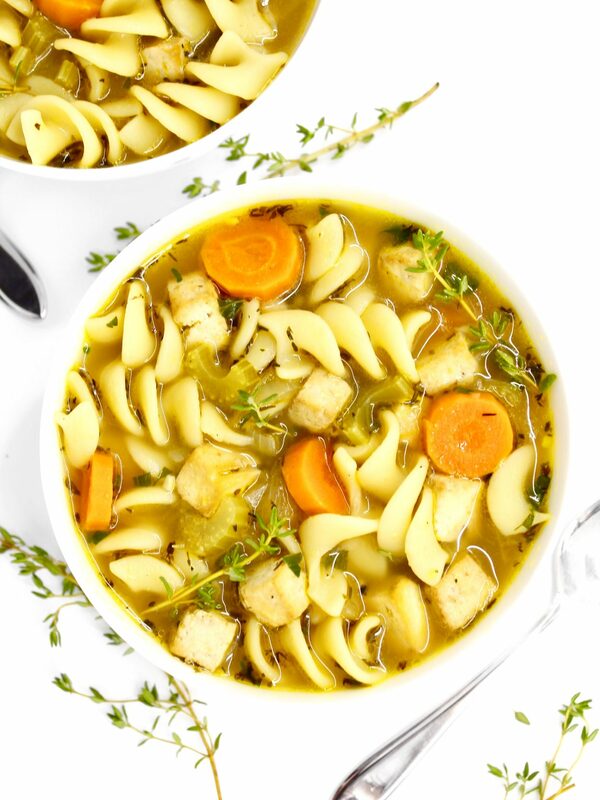 Try this plant-based alternative the next time you’re craving a warming bowl of chicken noodle soup, but aren’t feeling the whole ~chicken~ thing. It won’t disappoint! 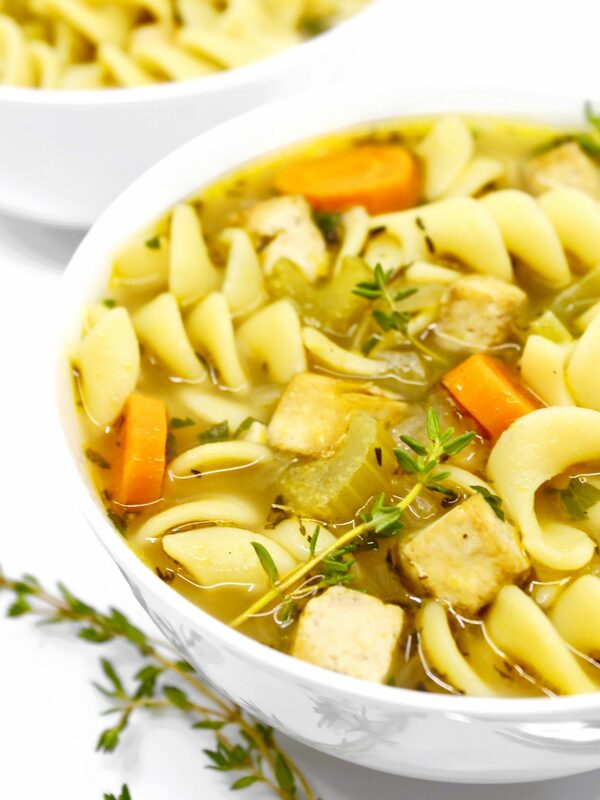 A vegan & gluten-free version of the ultimate comfort food: chicken noodle soup! It's hearty, savoury, super comforting, and tastes just like the real deal. 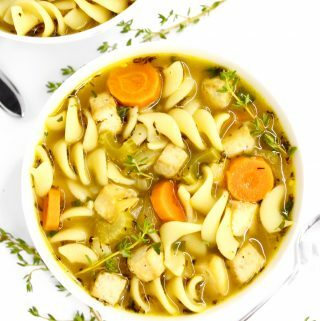 Try this plant-based alternative the next time you're craving a warming bowl of chicken noodle soup, but aren't feeling the whole ~chicken~ thing! Preheat oven to 350F and line a baking sheet with parchment paper. Use a clean cloth or paper towel to press out any excess moisture from the block of tofu. Then, cut the tofu into small cubes. 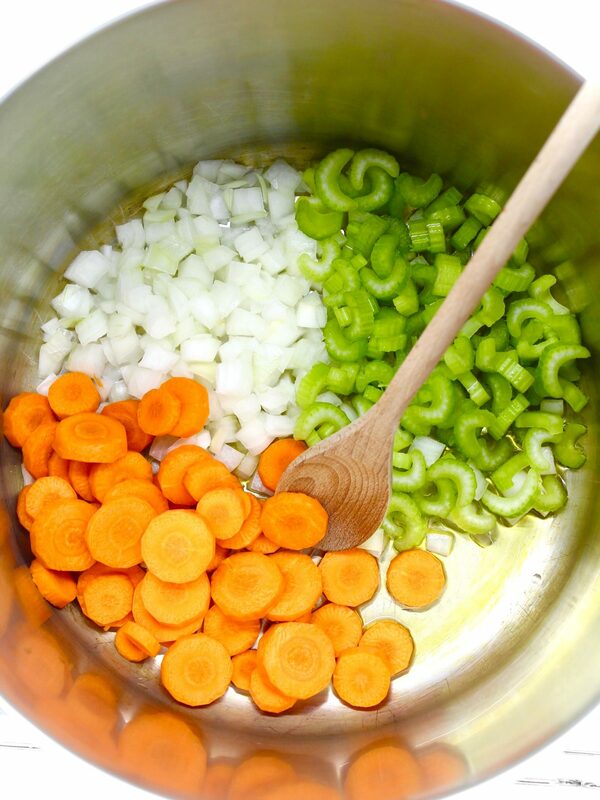 To a large pot, add olive oil, carrots, celery and onion, and sauté over medium heat for approximately 8 minutes, or until soft but not brown. Add the minced garlic for the last minute of cooking. Stir frequently, and reduce heat if at any point the mixture starts to brown. 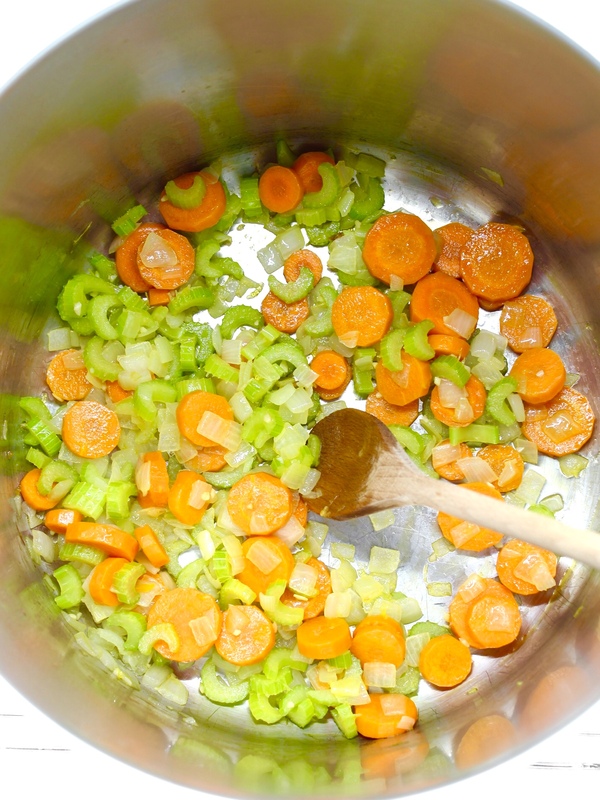 Add vegetable broth, water, thyme, pepper and salt to the pot, and bring to a boil. Cover, lower heat to low, and simmer for 5 minutes. Uncover and add nutritional yeast, rotini pasta, and baked tofu. Bring back to a gentle boil and cook uncovered for 10 minutes, or until pasta is tender. Remove from heat and stir in the finely chopped fresh parsley. Adjust salt and pepper, and add chilli flakes, if desired. Nutritional information is approximate, and was calculated using 3 cups of brown rice pasta. Keeps really well in a covered container in the fridge for up to 5 days. If the pasta has soaked up too much liquid, add more water before reheating leftovers. Enjoy! Disclaimer: I am a participant in the Amazon Associates Program, an affiliate advertising program designed to provide a means for me to earn fees by linking to Amazon and affiliated sites. 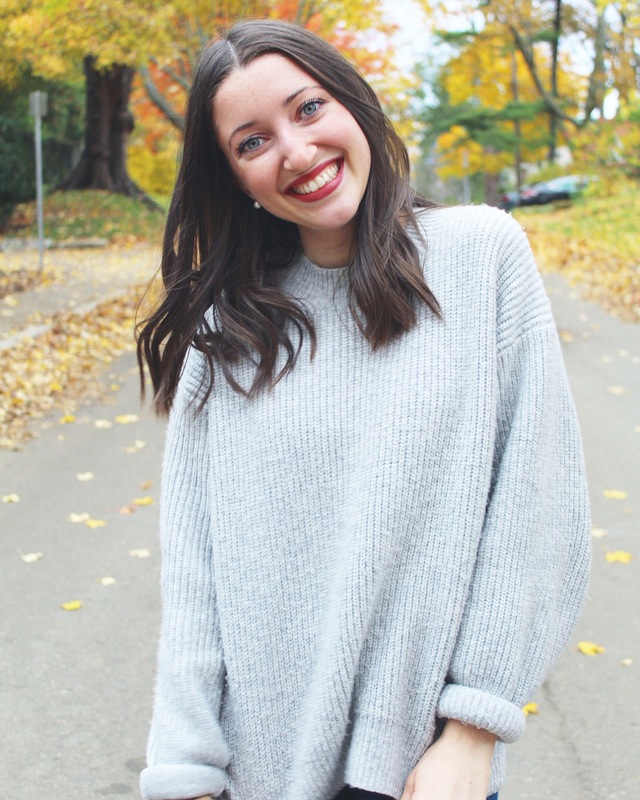 I only link to products that I love and use, and that I think you will too. Happy shopping! I’m so cold right now, and this looks so good!!! I might make it in my instapot right now! 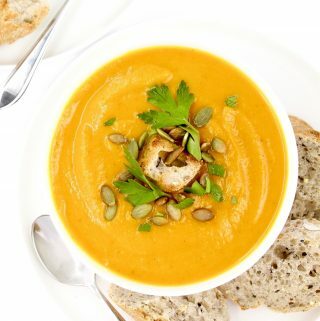 This soup looks really tasty, even without the chicken, and would be a great vegetarian or vegan substitute to the traditional chicken soup. I like how you were able to substitute in the tofu in place of the chicken. I really like tofu too, even though I’m not vegan or vegetarian, so this is something I may try to make one day! Thanks Patricia! So happy to hear this soup appeals to you even though you could eat traditional chicken noodle soup. I hope you love it! it’s supposed to snow here in Philadelphia today… I should get myself to the store because this would be the absolute perfect thing to make for today if I’m stuck in the house! Agreed!! Thanks Hal, hope it helps warm you up! Oh wow…this looks and sounds delicious! 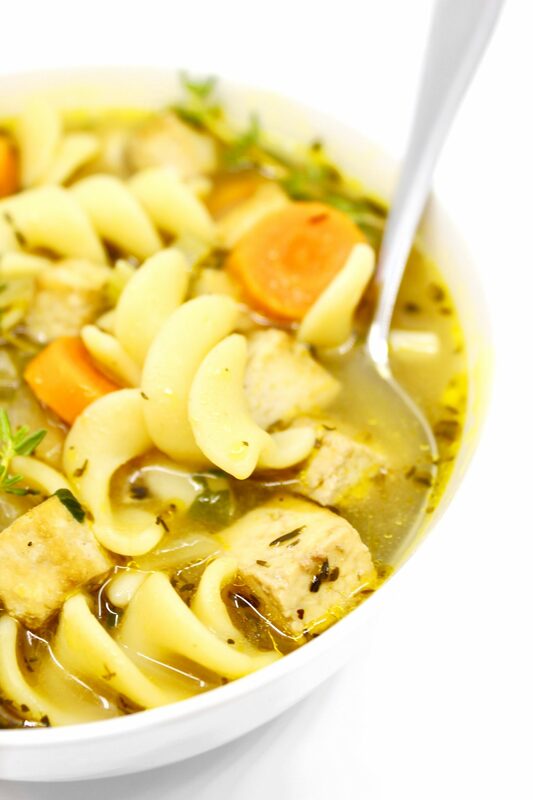 I’m a big fan of chicken noodle soup, especially during the winter and flu season. I would love to try this. Thanks so much! So perfect for cold and flu season! Do you have any recommendations for something other than gluten or brown rice noodles? I learned last year that struggling with a gluten sensitivity, sadly I’ve discovered that myself (and others with GF needs) struggle with brown rice. I’d love to hear any suggestions! Thanks Reese, and sorry to hear that. Have you tried chickpea, corn, or quinoa pasta? I’m not sure if you struggle with white rice as well, but adding rice instead of noodles would be just as delicious in this soup!! 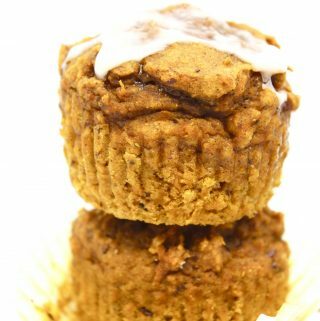 Awesome idea for a delicious veggie twist on a classic. It’s just in time for soup season. Thanks so much Jill, enjoy! As the winter season sets in I love having soups. This one looks so yummy. And, healthy too. Same here!! Thanks so much! Excited to try this recipe! I’m curious to know if you’ve tried freezing this? I hope you love it Melissa! I haven’t tried freezing this soup, but I’m sure it would be totally fine as long as you leave the noodles out and add cooked noodles in when you’re ready to eat it instead. Let me know how it turns out if you try it! I made this soup for my fiance and she said it was the best soup she’s ever had! And the only reason that’s absolutely nuts that she liked it so much is because she’s a kitchen snob.